Some people may think that the circus is a dying form of entertainment. But I am here to tell you that it is alive and well. Despite the recent closing of the legendary Ringling Brothers circus show, other iterations of the circus are on the rise. And the younger generation is picking up on this, opting to put their iPhones down and pick up some juggling props or hang from fabric silks attached to the ceiling. The circus is, and always will be, fun. The circus somehow connects to something deep in our souls, both as performers and as audience, that there is something such as wonder and amazement in the universe. And we can participate in that wonder by performing everything from ridiculous comedy to death-defying human feats. Because the circus is bigger than any one person or performer, it is a joy to pass this legacy on to the next generation. We are just pilgrims in this world – and the art and culture we create is part of a larger story that strings from one century to the next. The circus arts were passed on to me from those who have gone before me and now I get to pass it on to those who will be here after me. For the past two weeks, I was the juggling instructor at the second annual Circus Arts Camp in Richmond, VA (the only one of its kind in Virginia). Geared towards youth between the ages of 9-15, this camp teaches kids the skills of juggling, clowning, drama, silks, puppetry, hooping, stilt-walking, and more. I teamed up with other circus artists in Richmond (such as Heidi Rugg, Christopher Hudert, Magnolia Ocasio, and Heather Bailey) and we worked at transferring our skills to a new generation of circus performers. Without further ado, I would like to show you some video clips and pictures of the campers doing what they do best – the circus! They may not have run away with the circus in a literal sense, but for two weeks, they did so with their hearts. I’m so proud of these young people! I’m so proud of the first class of students of Camp Carnival RVA! This was the first circus arts camp of its kind ever in the state of Virginia. Every day for two weeks, these kids got to “run away” from home and join a variety of instructors who taught them the ins and outs of circus skills. Don’t worry, their parents/guardians dropped them off and picked them up at the end of each day. I love Sarah’s answer. Myself and several other circus arts instructors had the privilege of building young circus artists. What a joy to share our passions with the younger generation and see the future of variety arts innovating and flourishing. Here in Richmond, Virginia, there happens to be a large enough contingency of variety artists to sustain a camp like this. Heidi Rugg from Barefoot Puppets taught puppetry. Heather Bailey of Host of Sparrows Aerial Circus taught silks and aerial. Seasoned clown performer Christopher Hudert taught clowning. Natalie Kane of Circular Expressions led the students in hooping. And yours truly got to teach juggling and diabolo workshops. The day camp consisted of classes in the various arts and culminated with a demonstration of skills for the parents on the final day of camp. Enjoy some pics of camp! 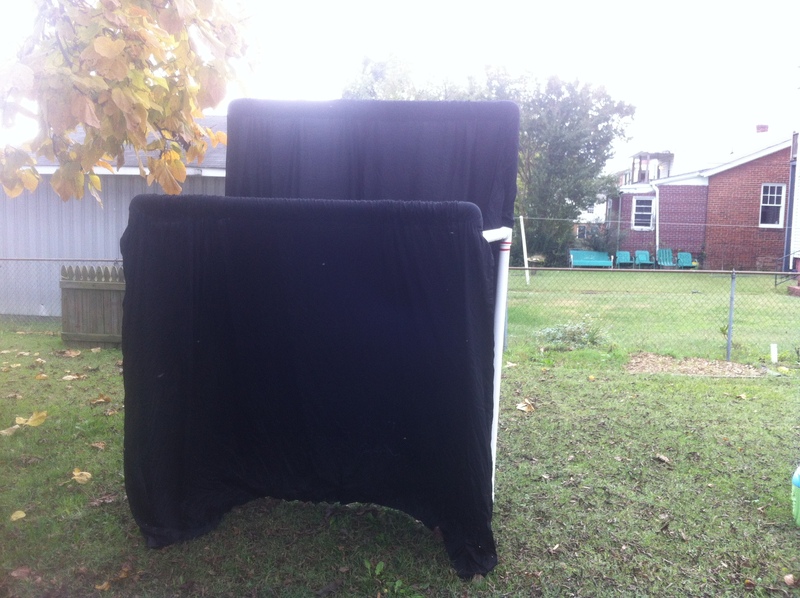 Several years ago I built a portable puppet theater out of PVC and black fabric. 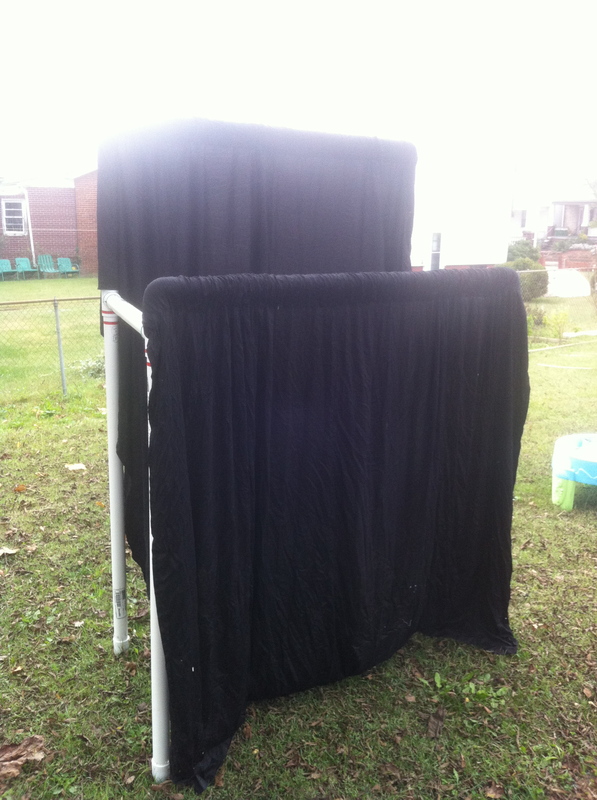 We have used it since then for puppet shows at our church. Our church has different locations, so this is perfect for moving the theater back and forth to different spots where we have children’s worship services and summer activities. In a few months, a friend of mine will be borrowing it for a class she is teaching on puppetry at her elementary school. 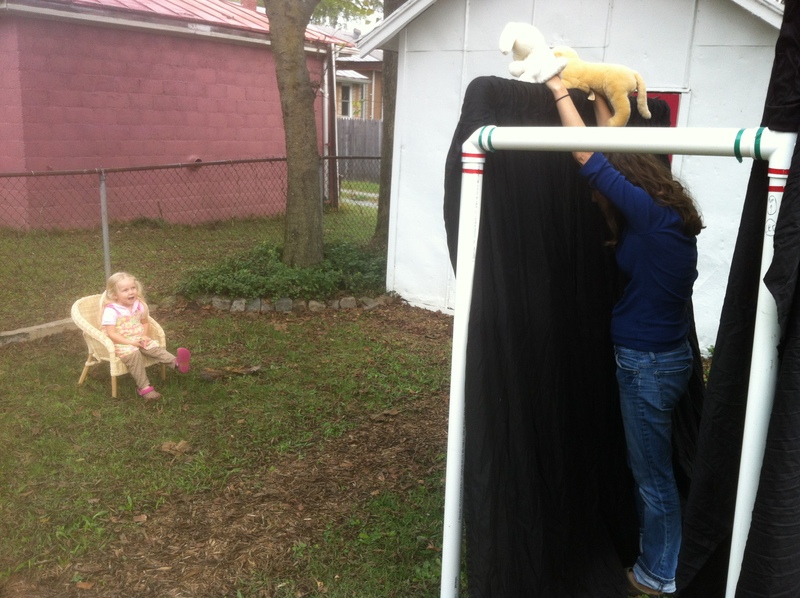 It has been such a convenient and affordable way to get a big payoff in terms of doing puppets for and with kids that I thought it would be worth sharing with you how it was built. I hope this comes in handy to someone out there who wants to build their own. Want more ideas on crafts and supplies you can use in performance settings? Sign up here for my free monthly newsletter. It is full of ideas about children’s ministry and performing, along with updates about my road travels. 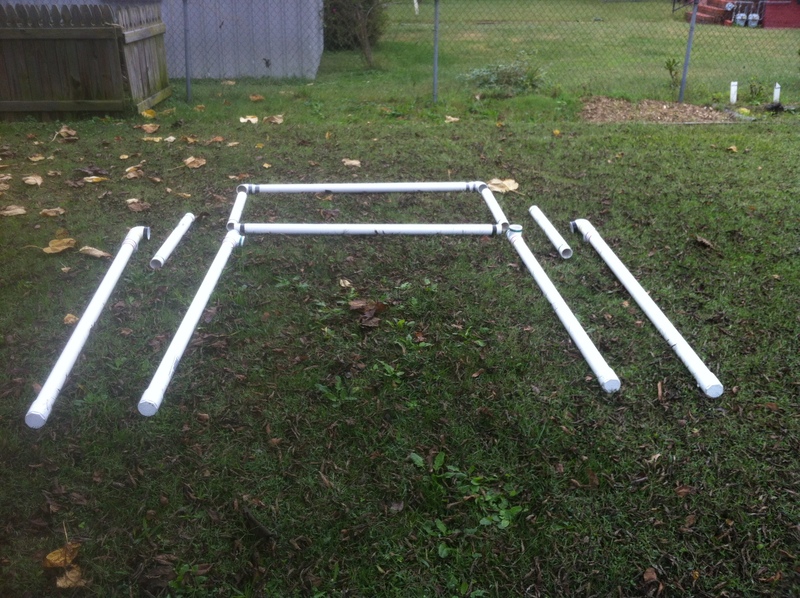 Step 1: Cut three of the 10-foot PVC lengths in half, leaving you with six 5-foot lengths. 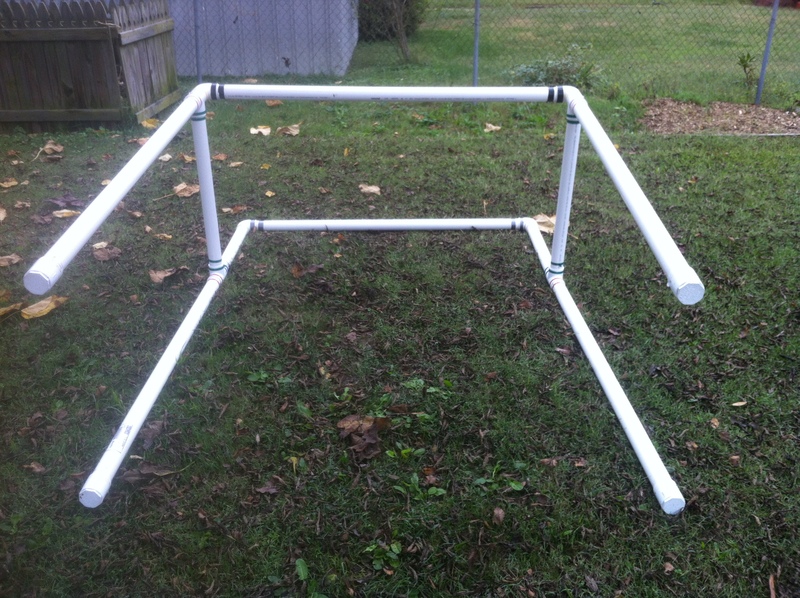 Step 2: Cut the remaining 10-foot PVC length into the following: two 30-inch lengths, two 24-inch lengths, and two 2.5-inch lengths, and you should have some scrap remaining. Step 3: Assemble the pieces into the design as seen in the pictures below. It is fairly simple, so study these pictures a bit and you’ll see how all the parts fit together. 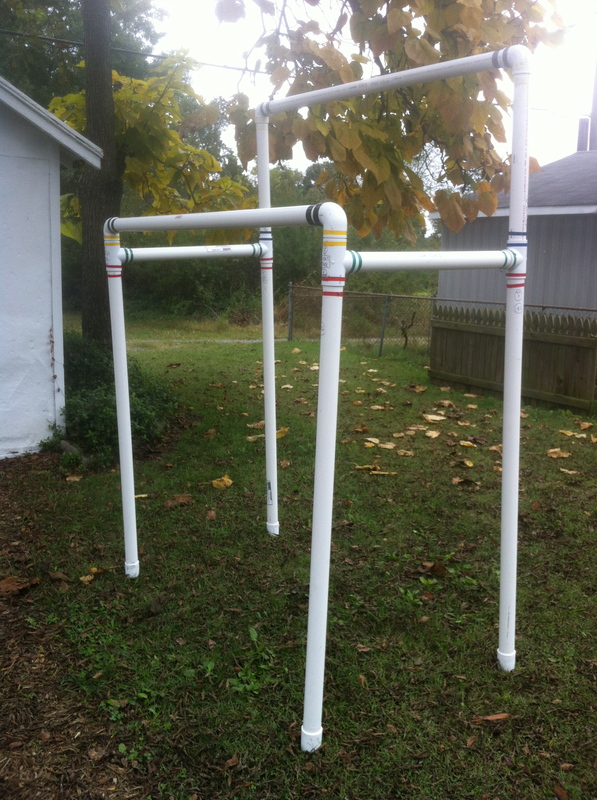 The caps are the feet of the four posts. 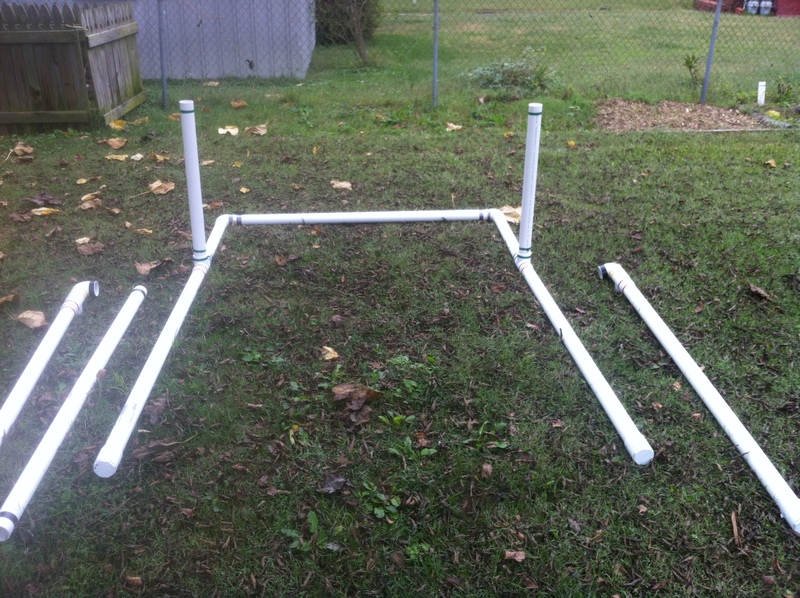 The 5-foot lengths are the four posts and the two that go across from side to side. The 30-inch pieces are the front-back connectors. 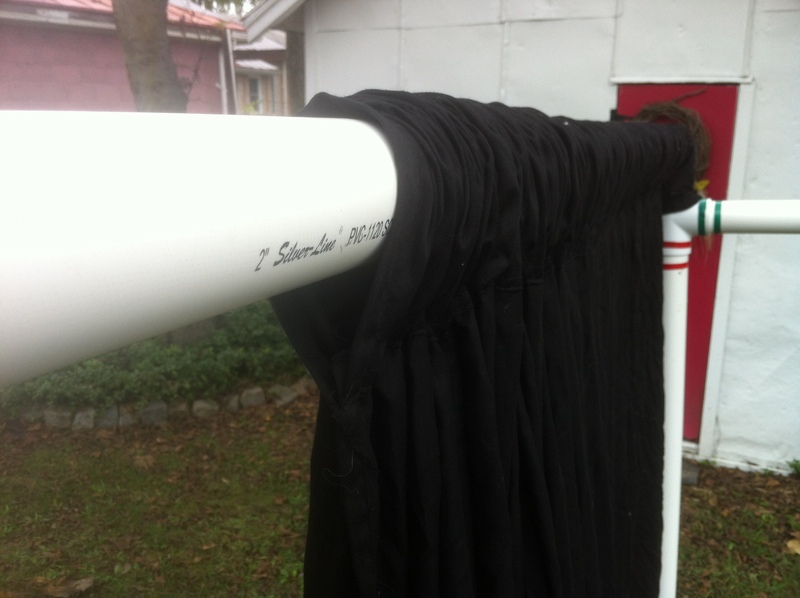 The 24-inch pieces are the height extensions on the back posts. 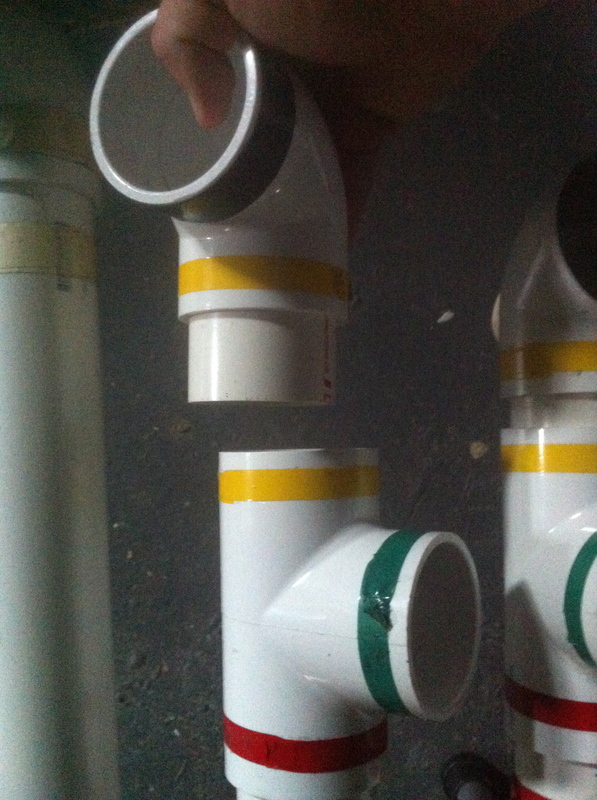 The 2.5-inch pieces serve as a way to connect the T-couplings to the 90 elbow couplings on the front part of the stage. All of this makes the stage just over seven feet tall in the back and just under six feet tall in the front. It is about three feet deep. Step 4: Take the four king sized black flat bed sheets and sew 2 sheets together and then the remaining 2 sheets together, so you are left with two pieces that are roughly 12-foot by 6-foot each. Then fold and sew a 5.5-inch” “tunnel” across the 12-foot length of the sheets. 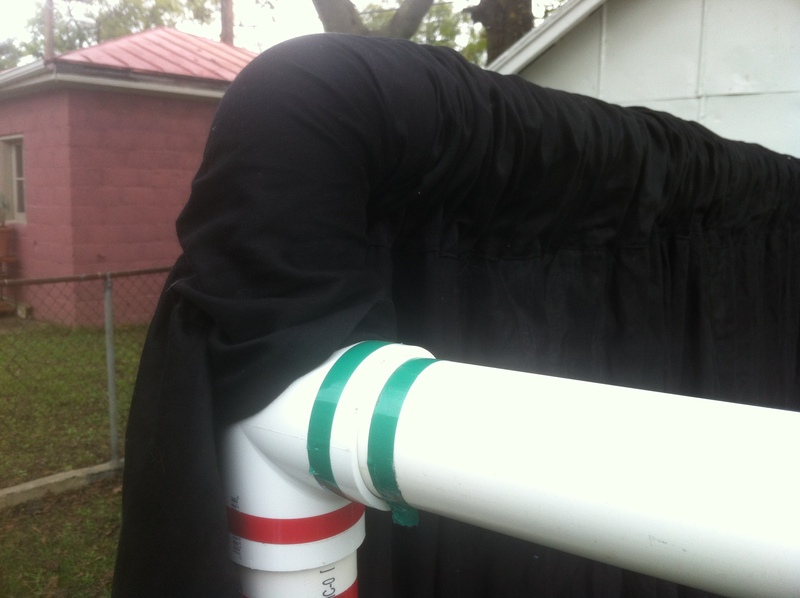 This tunnel will be large enough to slip over the 2-inch PVC. 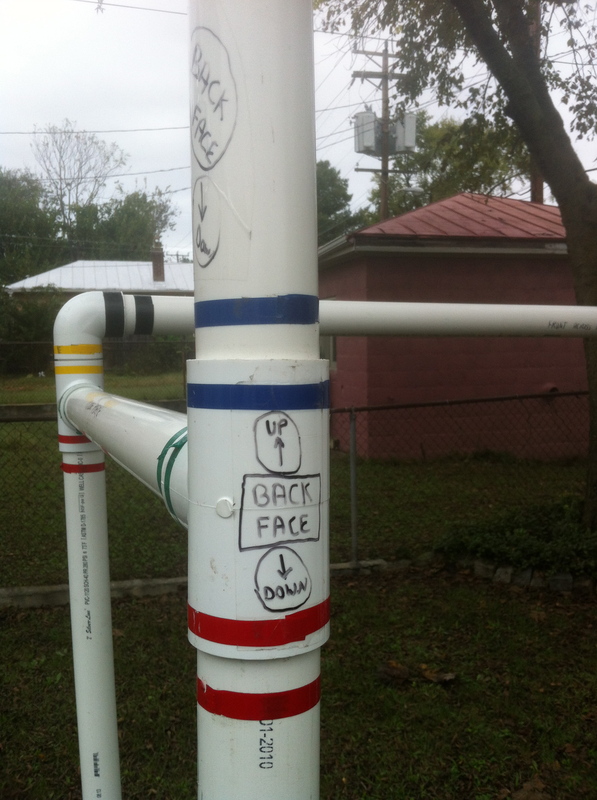 Step 5: Color code all of your connections using the colored electrical tape. This helps for re-assembly when people unfamiliar with the stage are helping to set it up. Step 6: Slip the sheets on using the tunnels as seen the pictures. Stand up the stage if you haven’t already. Get out your puppets and have fun! This is the stage laying on its back. The longer lengths on the sides will be a front extension, as you’ll see in the next pictures. Those two pieces sticking up are the 30-inch lengths. They go into the T-couplings. Use three of the 5-foot lengths to finish this off. 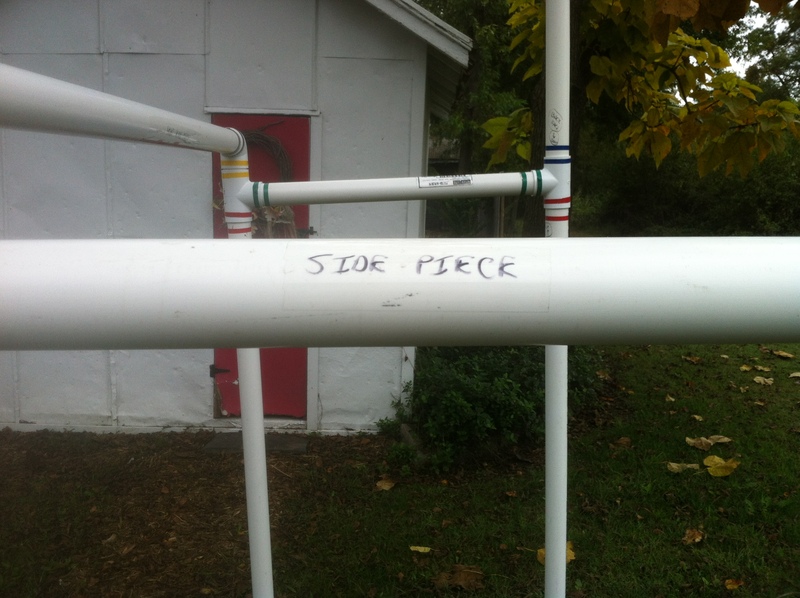 Two are the front posts (hanging in the air) and one is the “across” piece at the top of this picture. The stage is still laying on its back at this point. You are now ready to stand it upright. This is that short 2.5-inch piece that connects your T-coupling to the 90 elbow coupling on the front side of the stage. 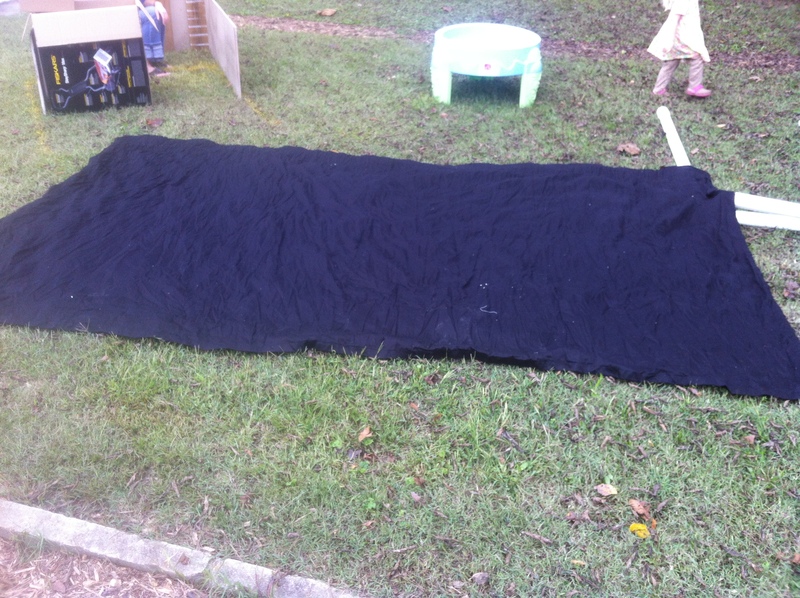 Sew together 2 king-sized flat black bed sheets into a 12-foot by 6-foot large piece. Do this twice. This is the “tunnel” that you need to sew. 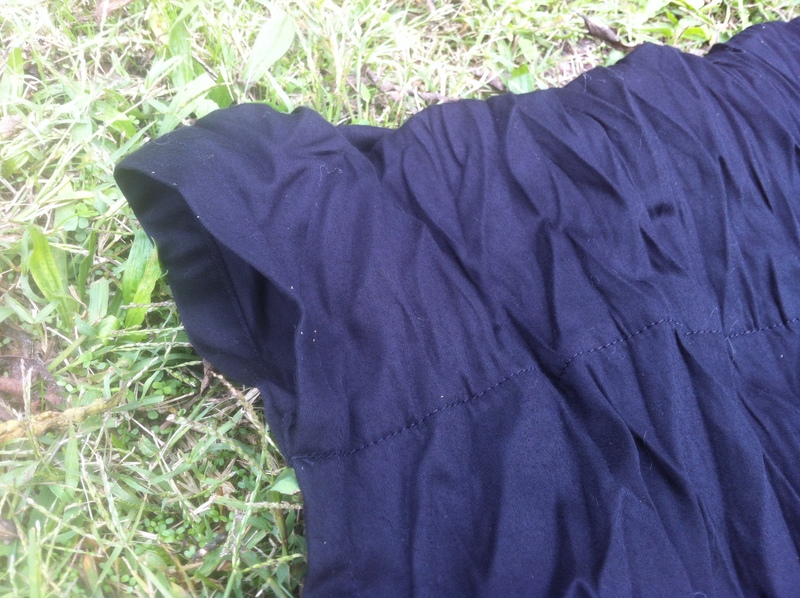 Just fold over about 5.5-inches of fabric across the 12-foot length of the black sheets. Sew that part down. Need a speaker/entertainer for your next event? Get a free quote on my juggling show here. I travel full-time nationwide. This kid-tested puppet show teaches kids how names have meanings, particularly the meaning of the name given to Jesus Christ. You may freely reproduce this skit. Just reference this website if you do…. Eddie: Larry, look I see an open field. We always explore in dense jungles and rivers. Why don’t we see if we can find any new animal species in the open field over there. Larry: OK, Eddie, if you say so. Eddie: You know, Larry, we’ve really discovered a lot of animals out here in the Amazon recently. I mean, we found the extremely rare Silly Billy Wallabu, the near extinct Ooga Booga Monster, and the endangered Creepy Crawly Caterpillar. Larry: We also found the “ant”. Eddie: The “ant”? That’s not a very impressive name. Larry: But that’s what they call it. Eddie: Oh, OK. Now, let’s wait and see if we catch a glimpse of anything in this field…. Larry: Hey Eddie, I think I see something. Eddie: (Looking the wrong way aimlessly), I don’t see anything, Larry, just a bunch of silly looking kids. Especially those boys in the back row. Larry: No, Eddie, over there (pointing towards the skunk). Eddie: Whoa! Look at that fine specimen. I’ve never seen such a beautiful example of a furry little zebra. Larry: We’re not in the Serengeti in Africa, Eddie. There are no Zebras in the Amazon rainforest. Eddie: Right. Well, what is it? We need to come up with a nice name for it. Maybe we’re the first humans to ever lay eyes on this fine creature. It needs a good name. Larry: How about “The Black Animal with White Stripes”? Eddie: It might be furry, but it’s not an Armadillo. Larry: Oh, I got it. How about “Elephant”! Eddie: No, that’s already taken, Larry. We should name it based on what it’s like and what it does. Larry: OK, let’s see if it does anything. How about we get a little closer to it and see if it reacts to us. Eddie: Maybe we should call it “nothing”, because it obviously does nothing! Larry: He looks friendly and furry. Let’s pet it. Eddie: That smells like rotten eggs in a stuffed up toilet. Larry: No, it smells like my little lizard brother after he eats too much Taco Bell. Eddie: Hey, that gives me an idea. Let’s name the animal, “Smelly Belly Stinky Face”! Larry: That’s a great idea. Except now you and I are both Smelly Belly Stinky Faces too! Eddie: Hey, that reminds me of a Bible story I once learned at church back home. They taught us a verse about a woman giving birth to a baby, and God wanted them to name the baby Jesus, because that name means “God saves”, and Jesus was going to save God’s people from all the bad things they have done. Larry: That’s neat. So Jesus actually means something! What do you know, everybody’s name has some sort of meaning to it. Eddie: What does your name mean, Larry? Larry: Uh, my parents named me Larry because I’m a lizard, and it kind of rhymes, you know? Eddie: Yeah, my parents named me Eddie, because I’m an explorer. Larry: They should have named you “Smelly Belly Stinky Face the Explorer”! Eddie: Hey, Larry, you’re just as much of a Smelly Belly Stinky Face as me right now. Let’s go take a tomato soup bath or something…. To see Larry the Lizard in action, check out one of his famous videos! Do You Dream of Puppets Too? 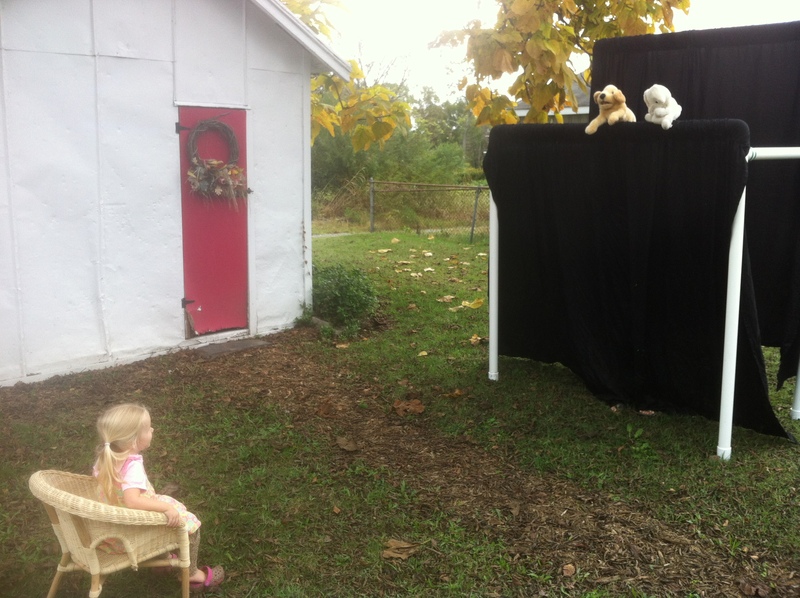 Dreaming of a full size puppet theater in the basement of our church – performing character-building and Bible-lesson puppet shows for kids and families in our city. Wednesday morning storytimes, Friday evening family nights, all sorts of applications. Widely publicized to maximize community participation. 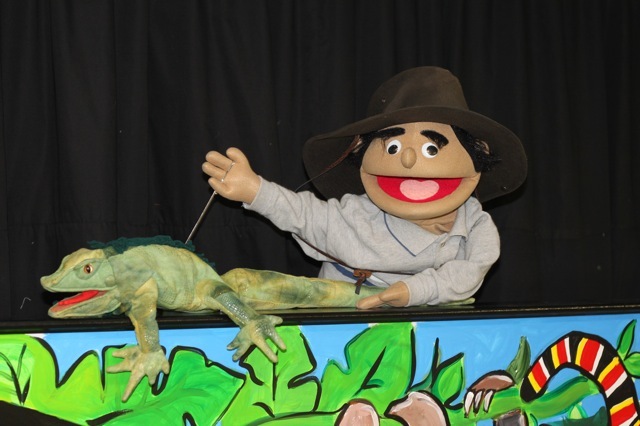 Even kids can learn and perform the puppets. Sketches are next, then fund-raising, then building, then recruiting. I love my job. Posted on November 23, 2010 Categories Children's Ministry, Church, Creativity, PuppetsLeave a comment on Do You Dream of Puppets Too?